I never really understood our spelling system. I always received 100% on all my spelling test, mostly because I studied. But for some reason all that studying for spelling tests didn't transfer into my daily writing. 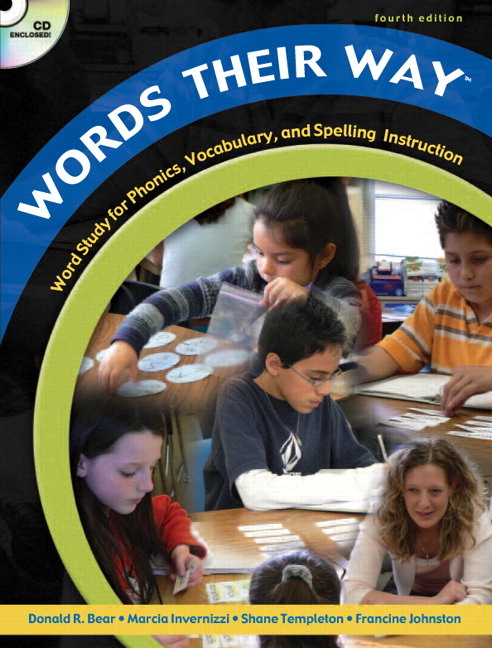 I believed if I had studied spelling using the approach from this book, my spelling would have greatly improved! They use words sorts, word families, and word studies. When I was first introduced to this book, and its methods, a light bulb went off in my head and I started to understand our spelling system! I try to incorporate this method, with my own kids. When my son brings home his spelling list, I look up the word families in this book and type up the words and have him sort them every night. It really seemed to help his spelling in his writing. But think how powerful this would be if he did it at home and school! He has wonderful teachers, and I know they use direct instruction and show the word families, but I really, really wish they would use the system. 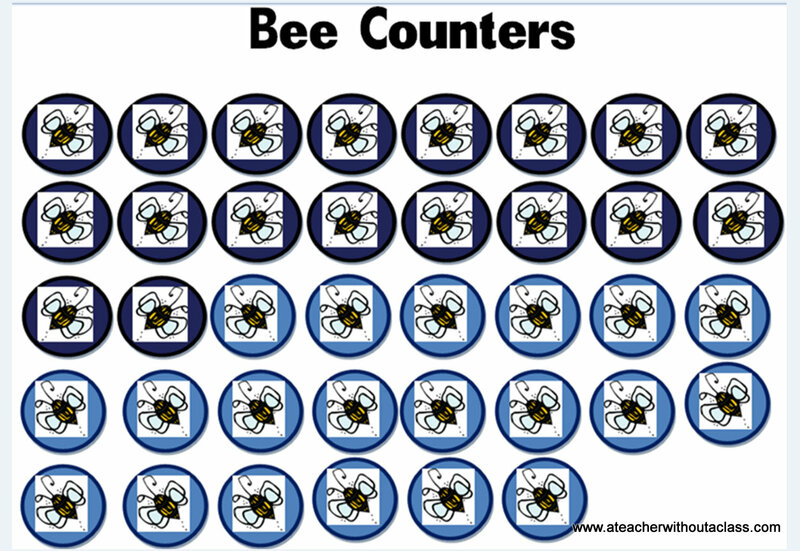 Students would be placed in different spelling groups based on an spelling assessment. It is just really, really cool! So this is what I made from his first spelling list of fourth grade! 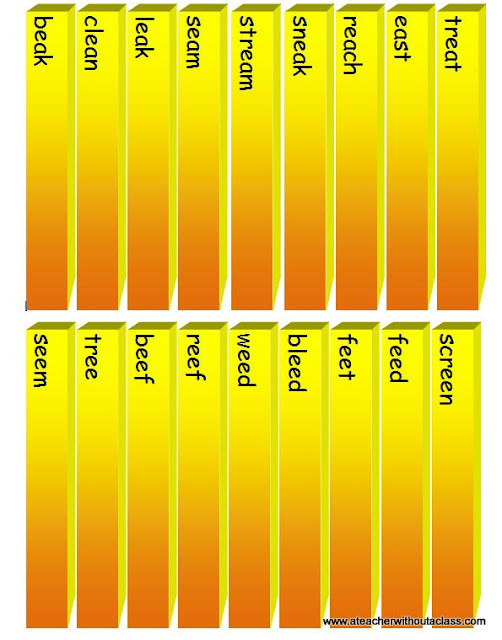 It's a sort for the long e sound, spelling the words with an ea or an ee. A simple sort--my very bright first grader did it. But she loves sorting things so it really fits her brain! They are supposed to look like french fries. This is how it looks once sorted! I love it! I also wanted to share some items I found from Jill at her Little Red Wagon's Store. 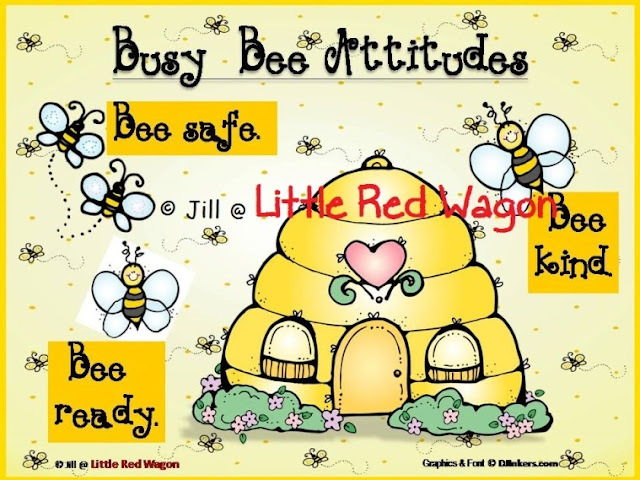 She has a wonderful Bee theme: This item is free. 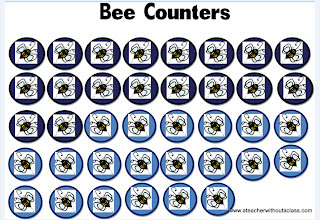 She also has bee counters as incentives for 1.00! You can find this beauty at her store! Most important: please include the link to www.ateacherwithoutaclass.com! Share items that you buy!!! Share items that you make from dollar items!!! Share anything that you love for only a dollar! Yes, my favorite dollar item is Diet Coke from McDonald's. Thank you everyone who has linked up in the past! So grab my button, and find some great ideas and finds from dollar days! I'm back! I linked up my post. I got some great things this week at Dollar Tree! Pop over and check it out. Hope you get more links. I will be sure to PIN, FB and Tweet today! Thanks Sidney. I didn't renew my inlinkz this month. I think if it picks up a bit I will! Thanks again for everything Sidney. I keep you and your family always in my thoughts! Love the spelling fries game!! 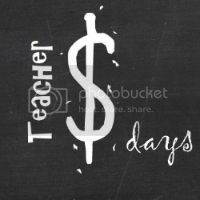 I'm linked up for your Teacher $ Days, but accidentally hitched the link to the wrong post. If your readers will go the the July 24 post, they'll find it. Sorry about that. 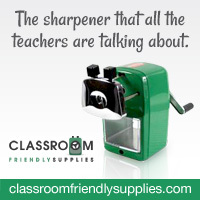 BTW, thanks for the TPT shout-out of my products. I have a couple more bee things in process. Just link again to the right post. I don't mind!